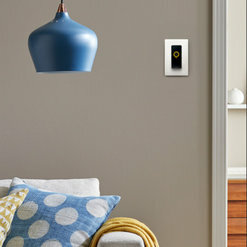 NOON Home, Inc. creates light switches that wirelessly communicate to coordinate all the lights in a room with one-touch control. 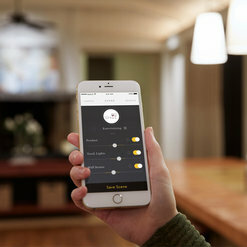 Core features include automatic bulb detection, 100% compatibility with all bulbs and fixtures and control at the switch, in the NOON App or via voice. 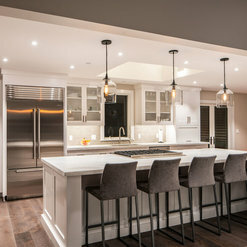 Working with top lighting designers, NOON's sophisticated tech automatically creates customized lighting scenes that are unique to each mood and activity enjoyed in the home. 1. Set the scene Consider all the activities you do in a room. Pick one you want to create a scene for—like watching a movie—and the mood you’d like to set—super-chill, if that’s your preference. Noon's built in lighting designer automatically creates this scenes based on room size, fixture and bulb types. Create up to six scenes per room. 2. 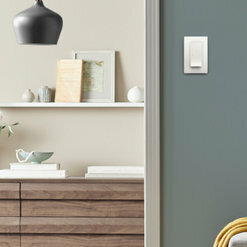 It's time for a switch Click to turn all your lights on and off, or swipe to set a scene for your favorite activity. 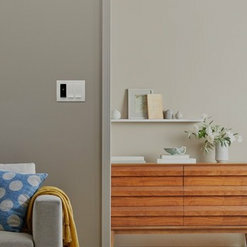 To experience Noon in your home, replace all of the room's switches with Noon. 3. Voice Control Control your lighting with your voice using Amazon Alexa or Google Assistant. 4. 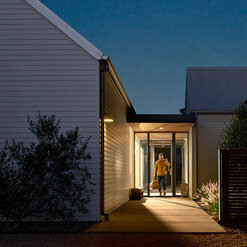 Night Light When motion is detected, Night Light automatically provides low-level light to guide you in the dark. 5. Vacation Mode Appear as if you are home, even when you’re away. Vacation Mode automatically learns and mimics your typical behavior. 6. Control from anywhere Use the Noon App to control your lights from anywhere. Just met the folks at Noon Home today at the Pacific Coast Builders Conference in San Francisco. Noon Home had the most exciting product of the show. Can't wait to install Noon Home in one of our projects. First, it is a functional product, second the design is exquisite, and finally the technology is impressive. 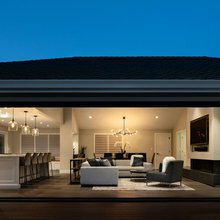 Noon Home is a small company (but I don't think it will stay that way for long) based in Cupertino, which is in the San Francisco Bay Area's Silicon Valley and it is evident that they have bright and creative minds behind their innovative product. I installed the Noon light switches in my studio. The installation was simple and took the electrician a little over an hour to complete. An 20 minutes after the installation was complete I had programmed the system and theit was fully functional. 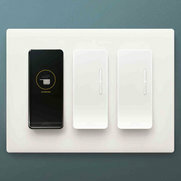 Noon has produced an elegant way to control lighting both remotely and locally. I have now started to recommend Noon switches to my clients.